We are excited to host a recital by extraordinary young violinist, Mayumi Kanagawa, accompanied by beloved Berkeley pianist Miles Graber. The concert is presented in conjunction with California Music Center, which produces the annual Irving M. Klein International String Competition. Mayumi, now age 19, was the 1st Prize winner of the Klein Competition in 2011 and, more recently, the 1st Prize winner of the 2013 Jascha Heifetz Competition. Six Polyphonic Studies No. 6, theme and variations on "The Last Rose of Summer"
Nineteen-year-old violinist Mayumi Kanagawa is an undergraduate student of Professor Kolja Blacher at the Hochschule für Musik “hanns eisler” Berlin, and a graduate of the Crossroads School for Arts and Sciences and The Colburn School Academy in Los Angeles, where she studied with Robert Lipsett. First prize winner of the 2013 Jascha Heifetz Competition in Vilnius and the 2011 Irving M. Klein Competition in San Francisco, she has soloed with many orchestras including the Los Angeles Chamber Orchestra, the New West Symphony, Colburn Orchestra, Lithuanian National Symphony, and Kremerata Baltica. 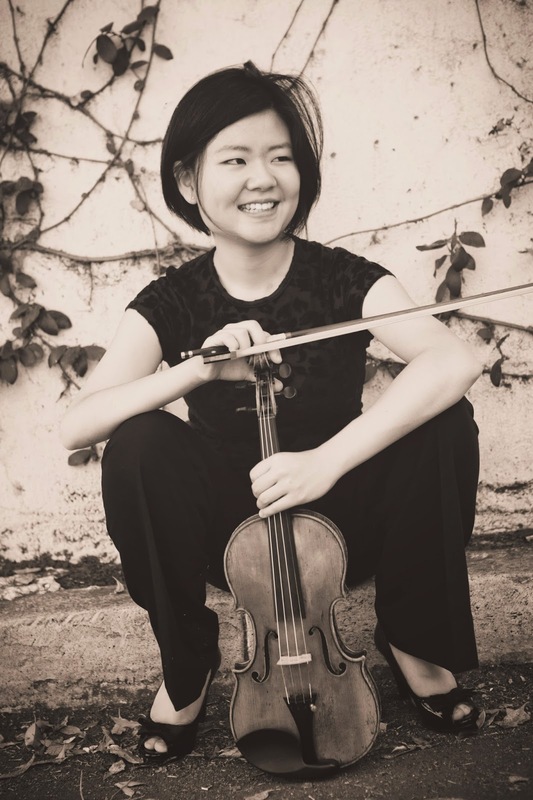 Mayumi has participated in major international festivals such as Yellow Barn, Verbier Festival Academy, the Aspen Music Festival, the Ishikawa Music Academy, International Musician's Seminar in Prussia Cove, England, the Encore School for Strings and the New York String Orchestra Seminar at Carnegie Hall. Mayumi has also been a featured artist on Performance Today’s Young Artist Series, with her recordings and interviews broadcast nationally on NPR stations.